Medicare and government auditors are on the lookout for high-dollar spine surgeries such as fusions, laminectomies, and laminotomies. Numerous updates are slated to take effect on January 1, 2018, that will affect how doctors document, code, and bill for these procedures. Practices must stay up to date on these changes to ensure proper reimbursement. In this webinar, participants will receive guidance from veteran coding expert Margie Scalley Vaught, who will explain the difference between the various laminectomy, laminotomy, and decompression codes and when it’s appropriate to combine and bill these codes with other spine surgeries. (Live + On Demand) - This program has the prior approval of AAPC for 1.0 continuing education hours. Granting of prior approval in no way constitutes endorsement by AAPC of the program content or the program sponsor. (Ability to claim CEH’s for this webinar expires on: 1/22/19. (Live + On Demand) - This program has been approved for 1.0 continuing education unit for use in fulfilling the continuing education requirements of the American Health Information Management Association (AHIMA). Granting prior approval from AHIMA does not constitute endorsement of the program content or its program sponsor. 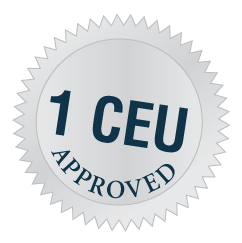 (Ability to claim CEU’s for this webinar expires on: 1/22/19.